The Binary MLM Script is the most popular and profitable Multilevel Marketing software business. So the network members, startup companies and all other members they can use start MLM business by using our Web based Binary MLM Script. Our basic MLM Script works on two leg concepts whereas one on right side and another on right side. This script reduces all the human hours for the manual works that are done by the MLM. The matrix method in our script is 2*2 matrixes. Mainly our binary plan sub-tree has two legs, the outside leg is also known as power-leg and inside leg is also known as the profit leg. In the Binary Plan MLM Software every member is allowed to sponsor only two front line members and the excess are placed below the sponsoring member down line. After the registration process, the new user can able to joins in the network Plan; the upline user will get the referral bonus in their wallet. And the new user joins under another users, new user can get the position left to right, where they need to be placed. When downline user purchase makes a sale, the upline user will get benefits. In binary plan the commission calculations are carried based on the business value points. The dashboard of the script contains renewal user, non-renewal user, downline-list, and blank space. The features our Multi Level Marketing Software are user management, membership management, member management, Transaction management, Reward management, CMS management, Genealogy, Mailing system to memberships, direct referral commissions and more on. Our Script has powerful admin dashboard, the admin can easily handle and manage all over the process details such as purchase history, level-based bonus, withdrawal request, dashboard referral calculation, bonus promotion module, history details and more on. The benefits of our Binary Plan MLM Software are 100% cost effective, 24/7 tech support, Attractive user interface, Accuracy & consistency, SEO friendly, Mobile responsive, user-interface, secure code and more on. And the code of the script is optimized according to the Google standard, so it more secure and search engine friendly. The addition features of our Binary MLM Script is, we provide one year technical support, six month free updates of the source code and brand free. After purchasing the script entire source code will be provided and your website will be live within next 24 hours. 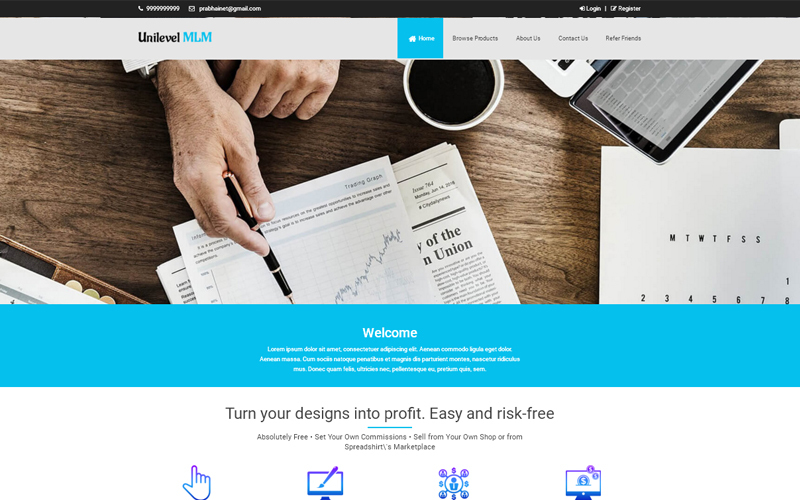 We are the leading MLM development company since 2005; we have more than 400 readymade PHP Clone Scripts and MLM scripts for our clients with the cheap price and best quality. If you still have any queries, feel free to reach out to us. We would be glad to help you. I just love the Binary MLM Script. Two-legged structure’s interface works awesome. Thank You guys for your script. The script works well as much I expect. Response and support from your side are extraordinary.